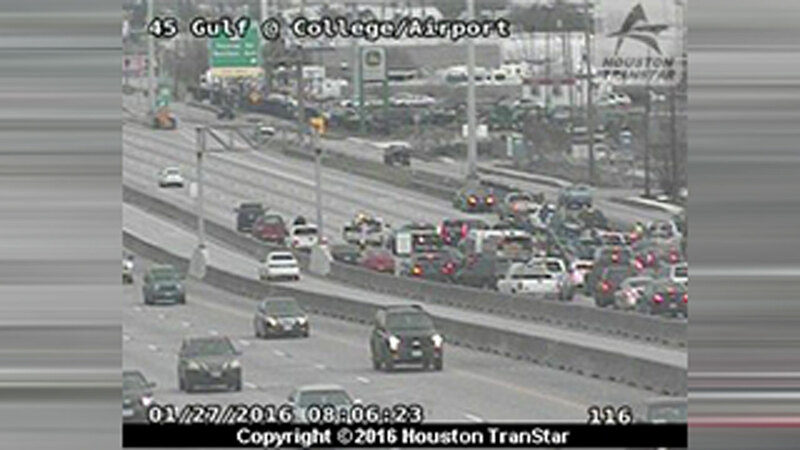 Houston -- An accident has closed several lanes of the Gulf Freeway inbound at Airport. As many as six vehicles are involved in the accident, according to Houston Transtar. The left lanes are now open after a total closure earlier Wednesday morning. As you can imagine, traffic is backed up with Wednesday morning commuters slowing to look at the accident. Seek alternate routes.